Attention! 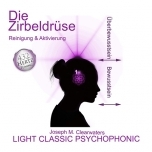 The booklets of all CDs are only in German language! 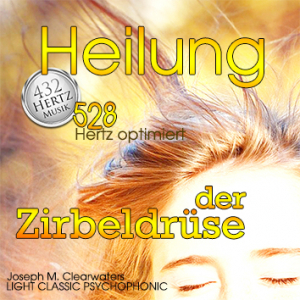 The 528 Hertz-optimized music "healing of the pineal gland" is a very intensive music with a strong effect. The pineal gland is our master gland and very important, because it should not only fulfill physical activities, but also spiritual ones! The pineal gland is also called the "master gland" of our hormonal system! The pineal gland, if healthy and fully functional, enables free access to higher levels, which are called the "superconsciousness, the I AM, the divine light, the universal love. For this we additionally recommend the music "Ehyeh Asher Ehyeh / I Am the I Am"! 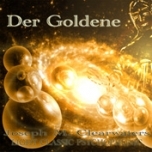 (This piece of music therefore also causes a certain healing power which counteracts from "above"). 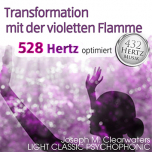 The 528 Hertz frequency has the ability to internally lead the door to the inner space of silence, to repair damaged DNA strands in our cells, and to bring us into a harmonious balance here and now, in harmony with the "Being, the Divine". The basic tuning of the instrument of 432 Hertz was optimized at 528 Hertz. This means that the frequency of the sound was increased to 528 Hertz in order to achieve the optimal effect of the music. 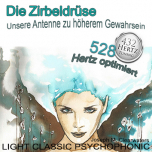 The 528 Hertz music is the "Love Signal", one of the six frequencies at the core of the universe's creative frequencies, and is "randomly" the frequency at which scientists repair defective DNA strands. The term "miracle" seems to be very appropriate! 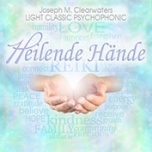 Harmonizing sounds for all kinds of body therapy.